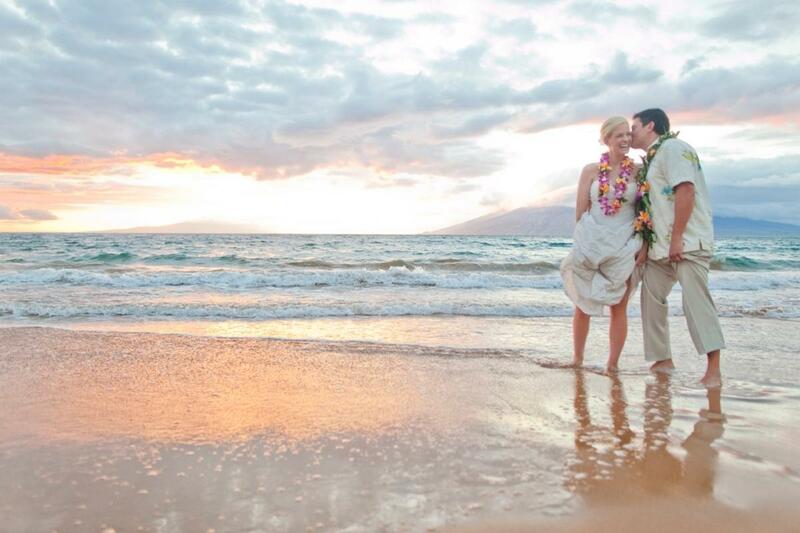 Your friends have invited you to their destination wedding in Hawaii – awesome! To help them save some money and in lieu of a gift, they have asked you to photograph the event (after all, weddings can be expensive, duh). 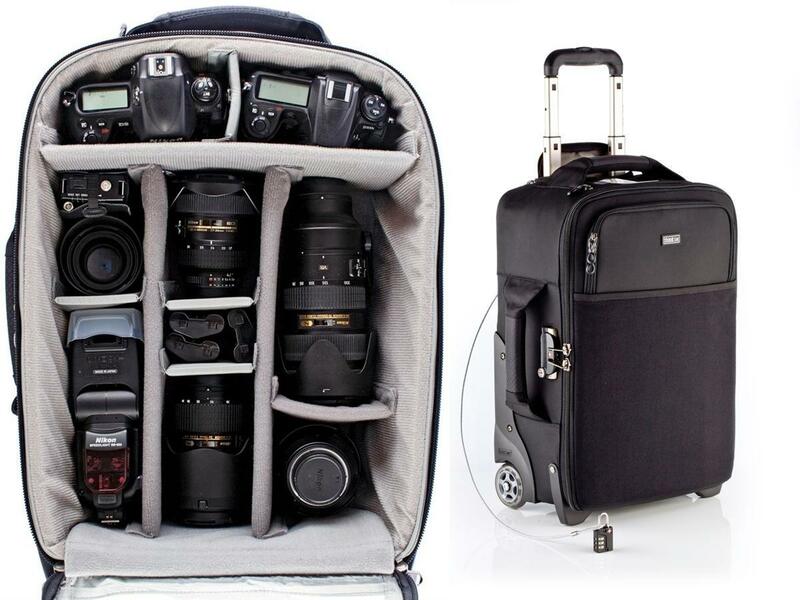 But what if you have never shot an event professionally before, let alone a wedding? To help you capture the moments that the wedding couple and their friends and family will remember forever, we spoke with photographer Sara Kauss, who specializes in destination weddings, concert photography, and musician sessions. Although Kauss suggests hiring a professional wedding photographer, we also recognize that budget is a concern for those getting hitched. So if you’re playing photographer at your friends’ wedding – whether it’s a faraway destination or a short car ride to city hall – Kauss has a few more tips to share. “Being able to tell an entire story in one frame is our job as a photographer. But, how do you do that? Be patient! Anticipate moments. It’s important to capture the emotion as it happens,” Kauss says. “When you’re watching an infomercial on television and you sense that person talking about a weight-loss pill is being fed a script and paid to be on TV, the same feeling comes across when you look at an image that has been re-staged. At a wedding it’s important to be there when it actually happens and to do that by anticipating the moment before it occurs,” she adds. “The reason the couple chose their wedding at the location they did is because it means something to them. 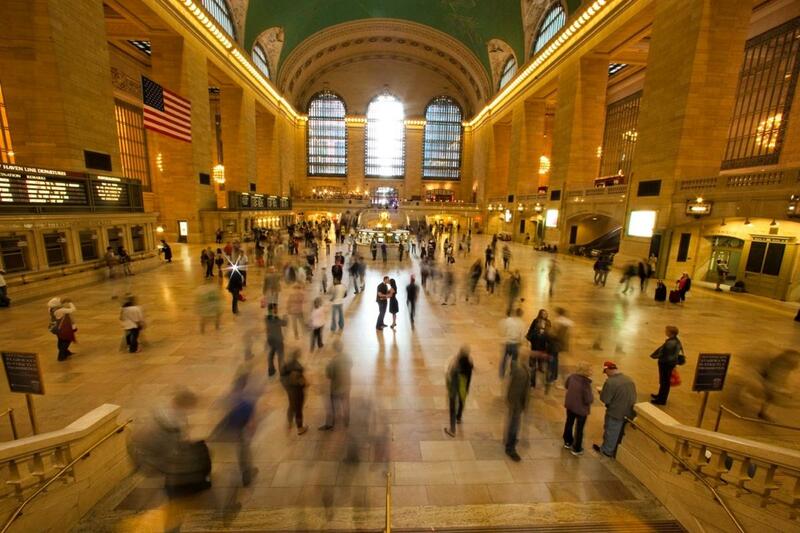 Take lots of images that reflect where they are. Also, don’t be afraid to shoot into the light. Find something to block the sun from coming directly into your camera, but remember that the huge sun makes an awesome light source. 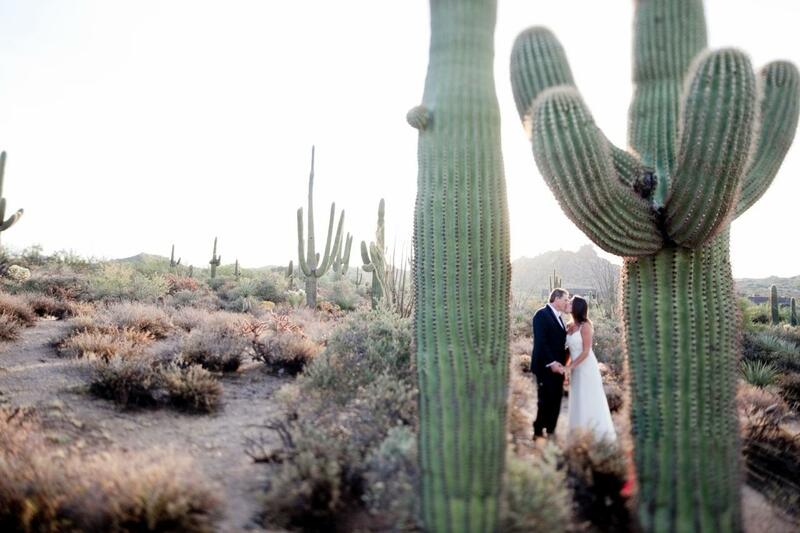 I love this Rembrandt lighting effect in this image that was captured by placing the couple directly in front of the setting sun, between the cacti,” she says. Kauss adds that this image was shot with a 24mm lens at f4.0, 1/800th, ISO 800, no flash, directly into the sun, blocked by the cacti. “It’s important to shoot in RAW plus JPG for multiple reasons, my own wedding photographer, Derek Smith with Sunshine Photographics taught me this. First, if your card gets corrupted for whatever reason, you are typically able to recover JPG files easier than RAW files,” she says. 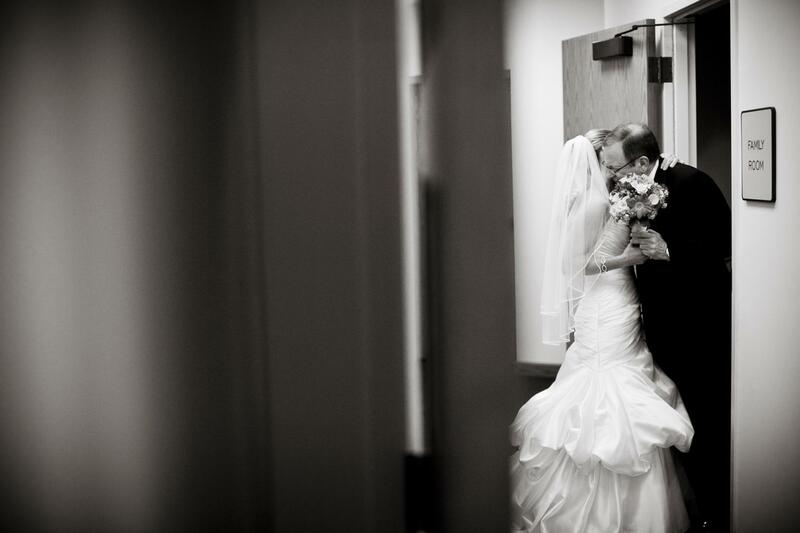 “If you have been hired to shoot a destination wedding, photography is really important to the bride and groom. Remember, there are plenty of resort photographers available anywhere in the world who could capture their wedding for them with a Canon Rebel camera and kit lens. But, no, your client reached out to you and is paying your fees because they want their wedding memories preserved in the highest quality possible, in a creative way, not just a point and shoot,” Kauss says. Whether it’s an A-list celebrity headlining a show or that special moment between a bride and a groom, Sara Kauss makes it her duty to make sure her clients can look back and relive that very moment for years to come. She has shot for Alan Jackson, Brad Paisley, Carrie Underwood, Darius Rucker, Faith Hill, George Strait, Keith Urban, Leann Rimes, Miranda Lambert, Rascal Flatts, Taylor Swift, Tim McGraw, and many more. 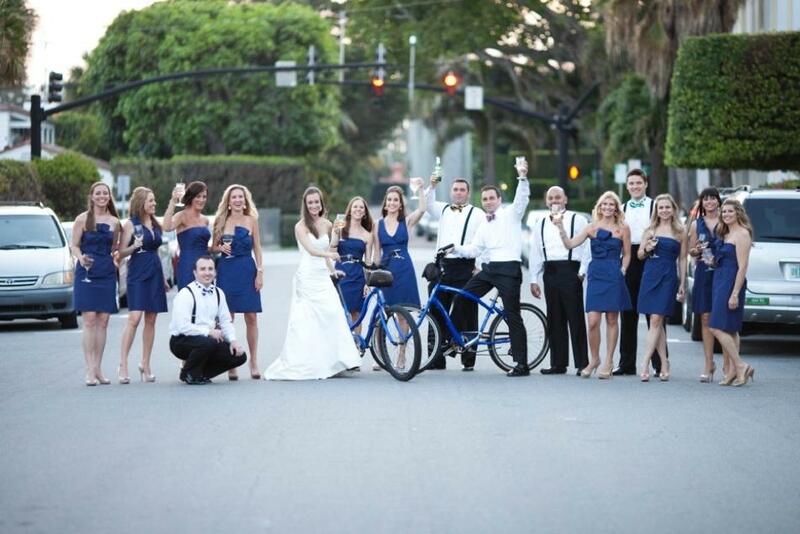 She also has been featured on NBC’s Wedding Special, The Knot, CBS News, Palm Beach Post, and Southern Weddings.